Are your drivers still filling out permit registration forms by hand? Are you putting that form in a filing cabinet, which you have to sort through every time you need to retrieve that information? Or are you and your staff taking the time to enter the info into a spreadsheet? 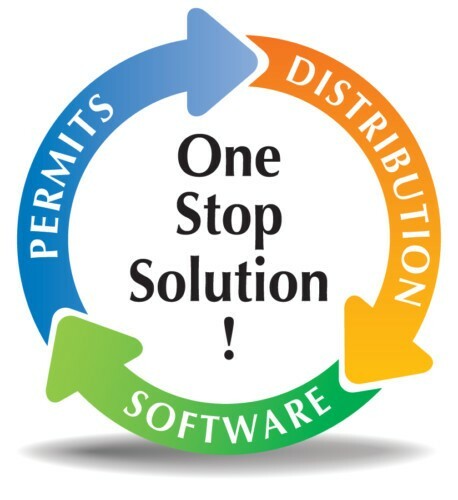 With PermitExpress™, the driver goes online and keystrokes all of their information! Plus, the driver must agree to your specific parking rules and regulations, or they will not be allowed to complete their registration. We will work with you to insure your institution’s colors and logos are used on the registration site, carrying your branding through to permit registration. PermitExpress™ has the ability to offer online payments, either by integrating with your existing credit card merchant, or creating one for you. This is not only a convenience for the driver, but can also reduce your office traffic. Parking Citations If you issue citations to drivers who break your rules and regulations, the citation details can be viewed online by the driver, with additional options to pay or appeal online. Real Time Information Within seconds of completing the online registration, the driver receives an order confirmation email, and the order information is retrievable by you and your staff. Permit and Citations payments, as well as citation appeals, can be viewed in real time by a PermitExpress™ administrator. You can create an unlimited number of administrators at your institution, and only grant them access to the areas of the program that you want them to see, all for no extra charge. A common example at a school using PermitExpress™ is there are administrators who are involved with issuing permits, but not citations, and vice versa. You can pick the appropriate level of access for as many administrators as you wish. Need to give an easy to read summary of permit or citation activity to another department? Use the built in Reports to create a professional looking PDF that can either be printed out or emailed as an attachment. Need to dive into all the information that PermitExpress™ collects, for analytical purposes? Use the Lookups function, which allows you to export all the info to Excel, and take advantage of all the ways that Excel can sort, filter and customize information.